This year Office is celebrating its Silver Jubilee. In 1990, Microsoft launched Office bundle that comprised of Word 1.1, Excel 2 and PowerPoint 2. Marking its footprints, it has now released the 17th version, Office 2016. 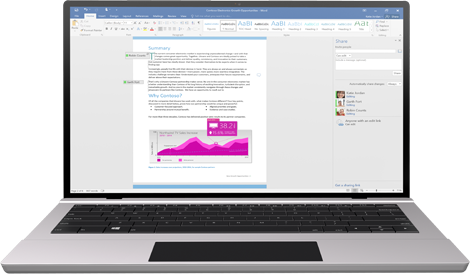 This version of Office is distinguished in more than one ways to Office 2013. It reflects the distinctive color for each application. However you can disable this option. Office 2007 came out with big surprise of ribbon interface but then refined it by launching Office 2010. It introduced the concept of ‘backstage’ option while using save, open and print options. But this did not made significant changes in the interoperation of these applications. User feels that there are no changes when it comes to core word processing, spread sheeting and presenting since the days of its introduction. This year too Office does not seem to be breaking the trend. There are minor bits to explore as new. The ribbons of applications now possess a text box which is labelled as ‘Tell me what you want to do”. It is kind of search tool to know the address of functions. It is really disappointing that it does not tell you the exact location so you might end up searching again and again. Smart Lookup’ is a new add on for this app that performs a Bing search for any of the chosen term in a document. It is lot smarter than regular search. New chart styles have also been added but it lacks the tools to export these. Additionally, Outlook has added a new button to attach the items that have been recently used so that you can send e-mails easily. If recently used items are on OneDrive for Business, OneDrive or SharePoint then these are shared as links. Using a feature ‘Clutter’ Outlook supports the users to put the priority in junk mails. Observing your previous actions, it categorizes the mails. Access and Publisher prevalent as before and are in maintenance mode as of now. Office 2016 marks marginal changes over Office 2013. It observes to make 64-bit version as an equivalent peer to 32-bit version. Collaboration is the key consideration because of what Microsoft considers Office 2016 the big release. In Word 2013, multiple editors were not allowed and to propagate this tool, user had to save the document to allow the editing. In this new version, convenience is the major consideration where propagation has been made live. In the testing, Word 2016 locks the documents on paragraph to paragraph basis. Improving the interface, Collaboration introduced a Share button for Word, Excel and PowerPoint. For business purpose, Skype has also been improved, permitting the users to make an IM, voice or video chat with collaborators. Giving an extension to the trend that started with Office 2013, Office 365 subscribers having Office licenses would get access to special version- ProPlus of Office. These features were minimally visible in 2013 generation while in 2016 generation; they intend to make it more convenient for the end users. 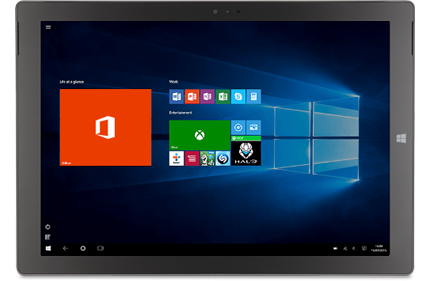 To open the window widely, Microsoft will soon release a similar system of Windows 10. ‘Current Branch’ is the mainstream that gets fixed and is featured instantly. However, the collaborative editing in PowerPoint and Excel are expected to be featured to the subscribers who are using the system. Another great thing added is the Groups in Outlook. In Outlook now you can create ad hoc user groups. Three new apps have also been added to Office 365. Delve and Sway are already in market for last few months. Next one is Planner. As the name suggests Planner is a planning tool to create the tasks, make the deadlines, track the completion of noted tasks. The bad part is that it does not integrate with To Do List of Outlook and the latest purchased app of Microsoft- Wunderlist app. Delve is an exclusive app and helps in Office Graph to interconnect the different object and define the relations of documents and other groups. All in all it helps to create the algorithms. Sway seems to be one of the most interesting apps. It is a kind of presentation app addressing the Office productivity tasks in a good possible way. Using this app you have to create a ‘storyboard’ organizing the text, images, videos and charts. Then choose the structure, sequence, design, fonts and colors that you want. Creating a layout with the given data, you would get the presentation. By clicking ‘Remix’ button, you will get another layout. No matter which operating systems comes and goes. Office will remain as mainstay. For many years it is basically working in the same way and with the same features. According to users of Office 2016, there is hardly any noticeable difference between Office 2013 and Office 2016. 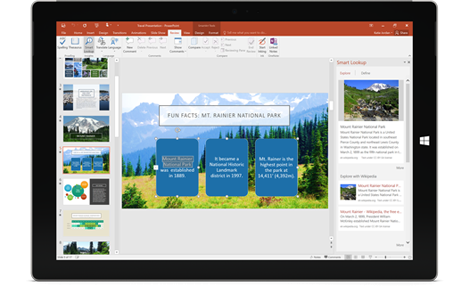 Microsoft is working on Office 365 to look more appealing, collaborative editing that would be subscribed to the PCs automatically. It means you do not have to wait to download the updates. It is easy and convenient to use. You will get comfortable with it with in no time. Sway is a great and promising Office app. Clutter feature in Outlook will help you keep your inbox cleaner. If you are a hater of Office, then it is not going to be changed.